Jose graduated from the University of Cordoba (Spain) in 2014. Following graduation he volunteered in a dog shelter for three months before moving to the UK to undertake a three months externship at SCVS followed by a rotating internship. He then moved to a busy first opinion practice in The New Forest where he worked for two years and developed a keen interest in Diagnostic Imaging. 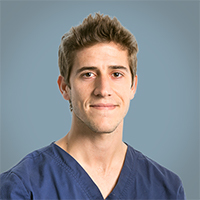 Now he has returned to SCVS to complete a specialised internship in Diagnostic Imaging. He hopes to further specialise in this area in the near future.